This is the perfect time of year to spend a little more time outside and to be more active, but the busy nature of modern life means that it is often difficult to fit physical activity into our days. 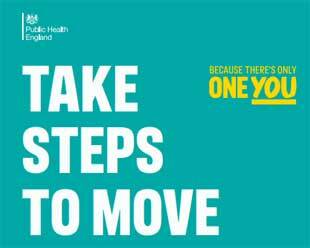 To help residents on a journey to a healthier you, Public Health England is encouraging adults to download the free ‘Active 10’ app to help complete 10 minutes of brisk walking daily and to gradually build this up to multiple ‘Active 10s’. The app is the first of its kind to show how much brisk walking you’re doing and when you are doing this at a high enough intensity and long enough to get health benefits. The app will also provide handy tips and will show residents how to target goals in their fitness that suits them and their lifestyles. Brisk walking can help get the heart pumping faster, improve your mental health and lower the risk of serious illnesses such as heart disease and Type 2 diabetes. Councillor Katherine Dunne, Cabinet Member for Communities and Workforce, Hounslow Council, said: “Just a short walk a day can help us all to lead a more active life. “When you are looking to exercise, you have to enjoy it. Walking is not only good exercise but is a nice way to meet people and socialise, see many parts of the borough you might not have seen before and feel healthier. “As a council we are committed to providing as many opportunities as possible for our residents to lead active lifestyles.